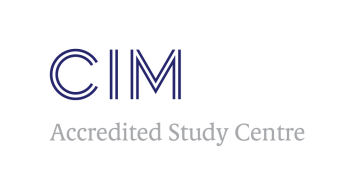 Price: 20% cheaper than any CIM course – Worldwide! Our sole mission is to maximise digital marketing profits to scale and grow businesses. Available in Manchester & London also. "I had the pleasure of attending the Fast Track Digital Marketing Course, run by Dawn. She is an exceptional trainer, a digital expert who's passion for her subject is truly infectious. Not only did the course deliver in terms of teaching me, a classically trained marketer, how to successfully integrate digital solutions into my strategic marketing plan, I also had great fun and left feeling inspired. I would recommend this course to anyone who wants to improve their digital marketing skills!" "I' upgraded to study the CIM Digital Diploma in Professional Marketing & attended the 3-day Ultimate Digital Marketing course. Dawn was a knowledgeable and engaging teacher and the course content was fast-paced and informative. I discovered many practical tools and techniques for improving our social media and digital strategy and I look forward to putting them into practice!" Save your spot and get to learn more about online marketing. Small Class Sizes - Places Limited!